The road not taken. “I took the road less traveled and for me, it has made all the difference.” Lucky enough to have had parents who believed in art, Heather grew up knowing she would someday be a painter. Since then, she has painted 100 miles of canvases and traveled the back roads of this incredible country as well as the world. 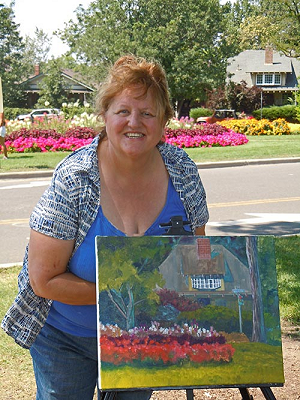 She is a “Signature Circle’ member of Paint America and attained “signature” status in both Plein Air Artists Colorado and Pastel Society Colorado. She has been published in articles in major art magazines such as Southwest Art, American Art Collector and Plein Air Magazine. Taking the Silver award for Plein Air Rockies 2011, and First place under best of show for Wyoming’s Prairies to Peaks 2011, her skills as an a plein air competitor are proven.